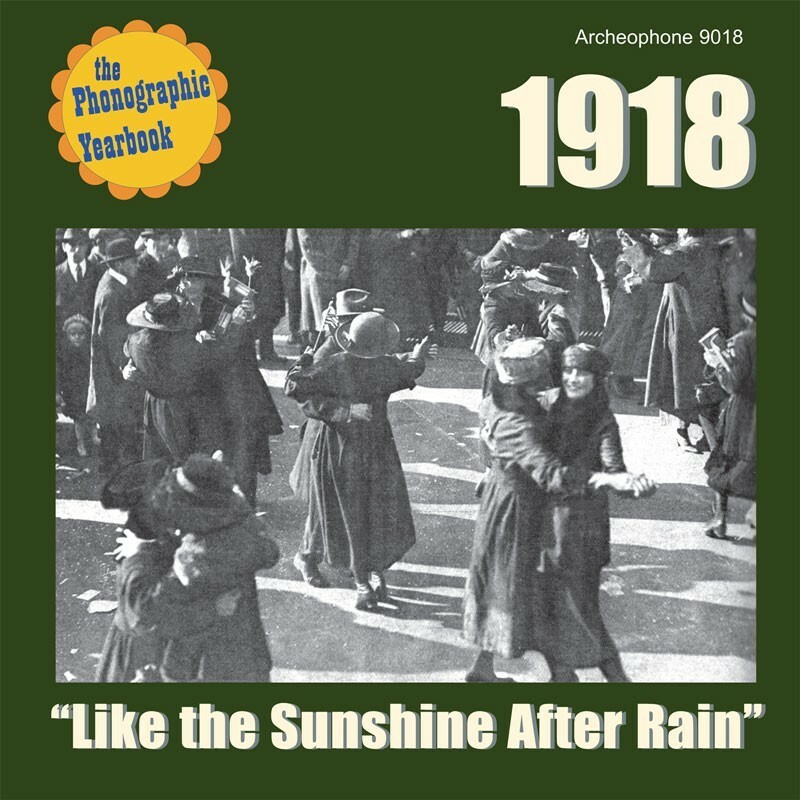 1918: "Like the Sunshine After Rain" features 24 selections from the year World War I came to a close and an influenza epidemic swept the nation. Selections include wartime and comic songs, songs that would become part of the Great American Songbook, and early jazz and dance numbers by Joseph C. Smith's Orchestra and the Original Dixieland Jazz Band. The CD includes a full-color 24-page booklet featuring an interpretive historical essay, notes on the selections, full discographical information and a bounty of historic photos and illustrations. Visit 1918's expanded catalogue page to see the complete track listing, read an extended description, and listen to sound samples.